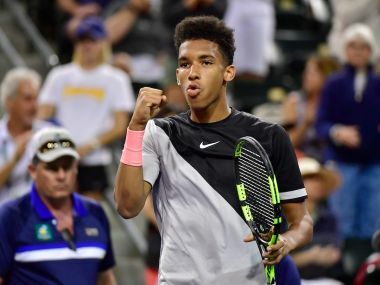 Indian Wells: Teenage qualifier Felix Auger-Aliassime scored a superb 6-2, 7-6(4) first-round victory over fellow Canadian Vasek Pospisil at the BNP Paribas Open in Indian Wells, California on Friday. 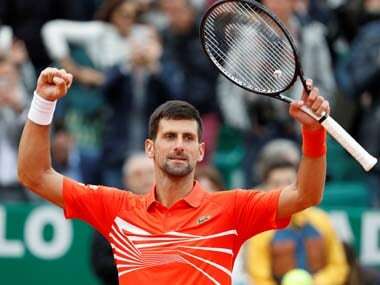 The 17-year-old displayed lightning-quick footwork in his bright pink shoes, and delighted the packed crowd with his formidable serve and powerful forehand. He pounded down 11 aces and saved all three break points he faced en route to his first career victory. “To come here, beat one of my growing idols, Vasek, it felt kind of surreal at first,” Montreal-born Auger-Aliassime told Tennis Channel. Auger-Aliassime, the youngest player in the men’s draw and who shares a birthday with Roger Federer (8 August), will face another Canadian in the second round, 32nd seed Milos Raonic. “It’s quite funny to see these guys in my draw,” he said. Another teenager enjoying the winning feeling on Friday was 19-year-old Australian wild card Alex de Minaur, who beat 56th-ranked German Jan-Lennard Struff 3-6, 7-6(3), 7-6(5). De Minaur, ranked 141st, started the year by making the final of the Sydney International, where he lost to Daniil Medvedev. He also took Alexander Zverev to five sets before losing a deciding tiebreak in a Davis Cup tie against Germany in early February. His Davis Cup teammate Nick Kyrgios withdrew on Friday ahead of his first match, citing an on-going right elbow injury. Kyrgios, who has not played since the Davis Cup tie, was scheduled to play Medvedev on Saturday but has been replaced by lucky loser Matteo Berrettini. In other matches, wildcard Ernesto Escobedo beat fellow American Frances Tiafoe 7-5, 6-3, while lucky loser Dudi Sela of Israel edged German Peter Gojowczyk 6-4, 6-4. 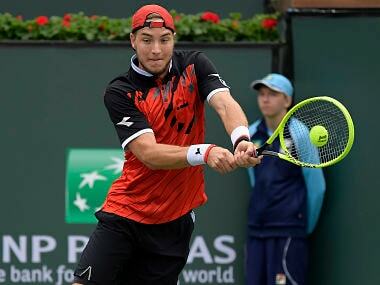 Portugal's Joao Sousa rallied to beat Mikhail Youzhny of Russia, 4-6, 6-4, 7-6 (4). Elsewhere, unseeded Gael Monfils rolled to an easy 6-3, 6-3 victory over Aussie Matthew Ebden in his opening match. The 31-year-old Frenchman needed just 71 minutes to dispatch Ebden. Monfils began 2018 by claiming his seventh career ATP Title in Doha, but this is the first time he has come into Indian Wells unseeded in the men's draw since 2008. Monfils hammered six aces, won 68 percent of his first serve points and broke Ebden four times. Monfils improved to 2-0 lifetime over Ebden having beaten him previously at the 2010 Australian Open. Monfils will face world No. 18 John Isner in the second round. The Frenchman has beaten Isner five times in nine career meetings, including winning four of their past five. Their most recent encounter took place a year ago in the California desert, with Monfils winning easily 6-2, 6-4 to reach the third round. Indian Wells marks the first time playing on hard courts for Monfils since the Australian Open in January. He is coming off four straight weeks on the South American clay court circuit so needed to make the necessary adjustments. "The ball was flying quite a lot. It was not easy to adapt but today I was just lucky to get the win and in straight sets is always good. 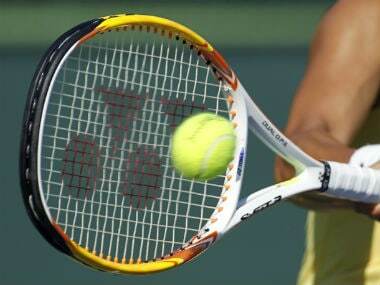 I will be focused for the next one," Monfils said. Ebden committed five double faults and won just 39 percent of his second serve points on Friday. He is playing in the Indian Wells main draw for the first time since 2014.